Originally thought to be black chalk, use of conté crayon confirmed by R.Perkinson and D. Carton on May 1, 2002. 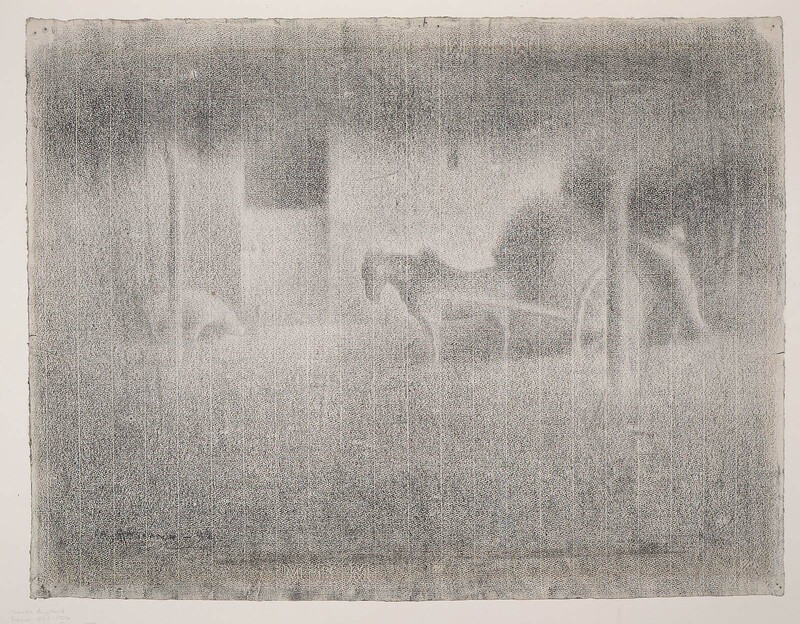 Like Seurat, Angrand used this drawing medium. Elizabeth Paine Card Metcalf, Boston; gift of Metcalf's children to the MFA December 1992.